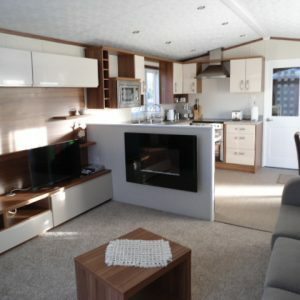 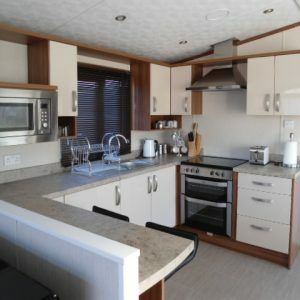 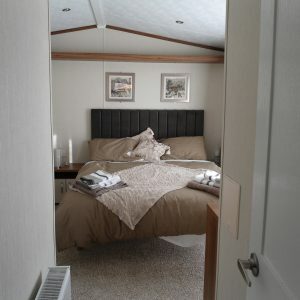 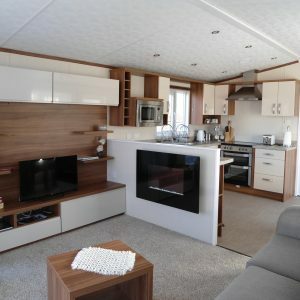 Number 18 is a modern luxury Lodge with 2 bedooms which sleeps 4 people. 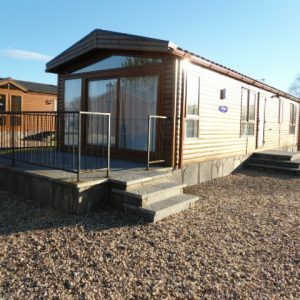 Situated in a peaceful and tranquill setting at Lochmanor Lodge Estate on the outskirts of the historic and picturesque village of Dunning. 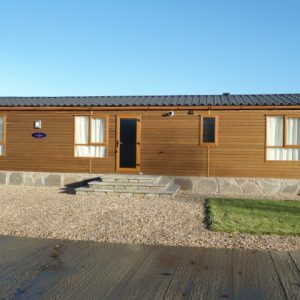 Dunning Golf course is 5 minutes away as are the Bowling club and tennis courts.There are two local Pubs as well as a convenience store and post office. 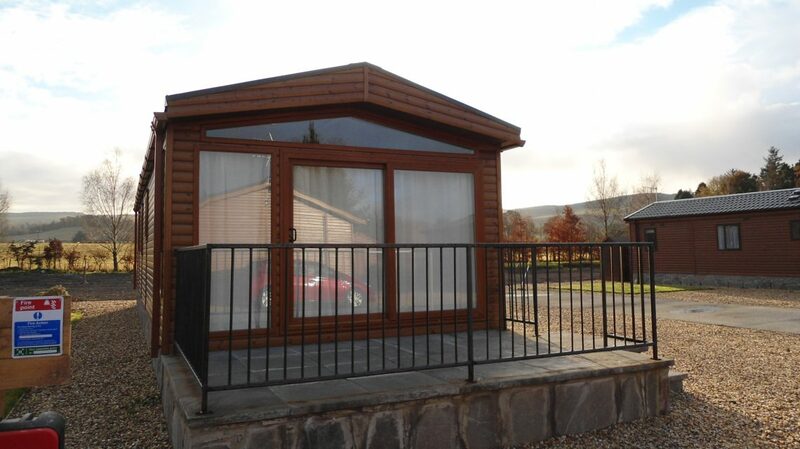 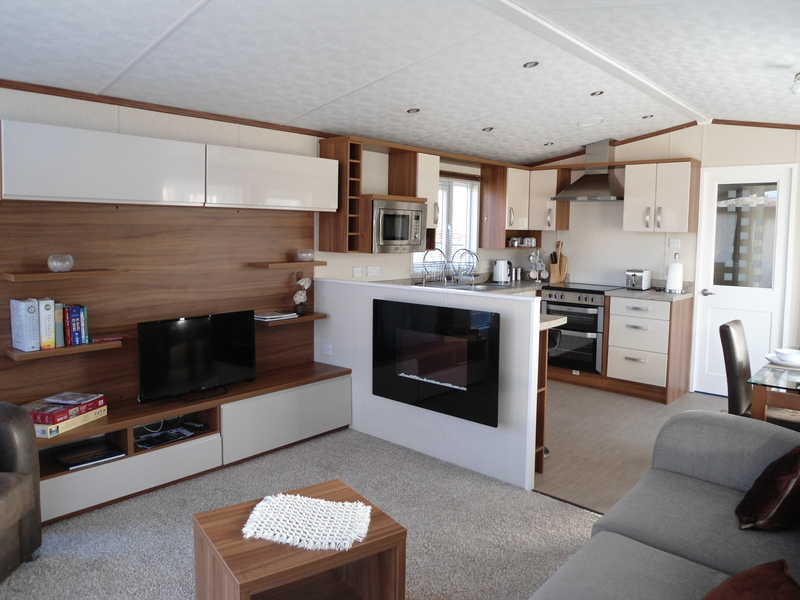 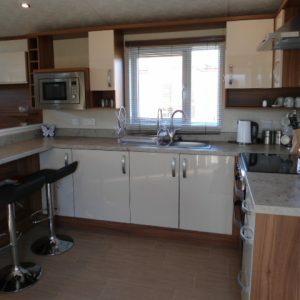 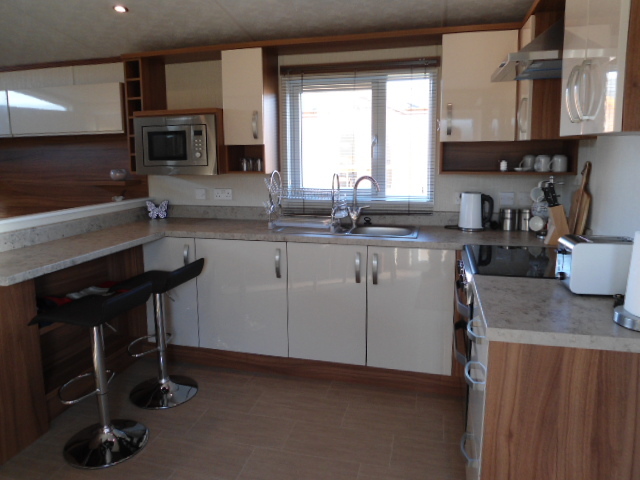 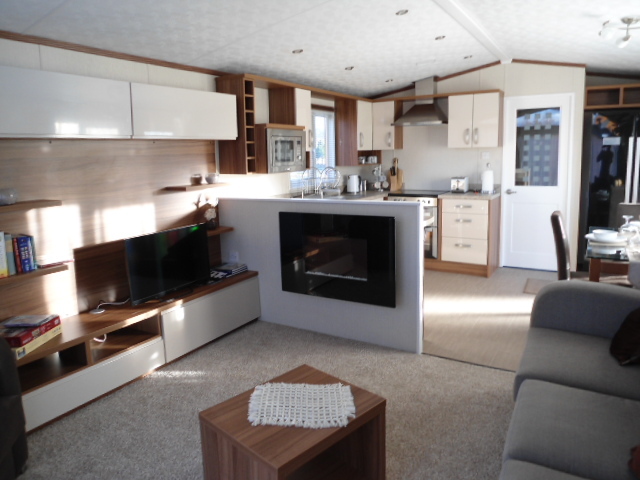 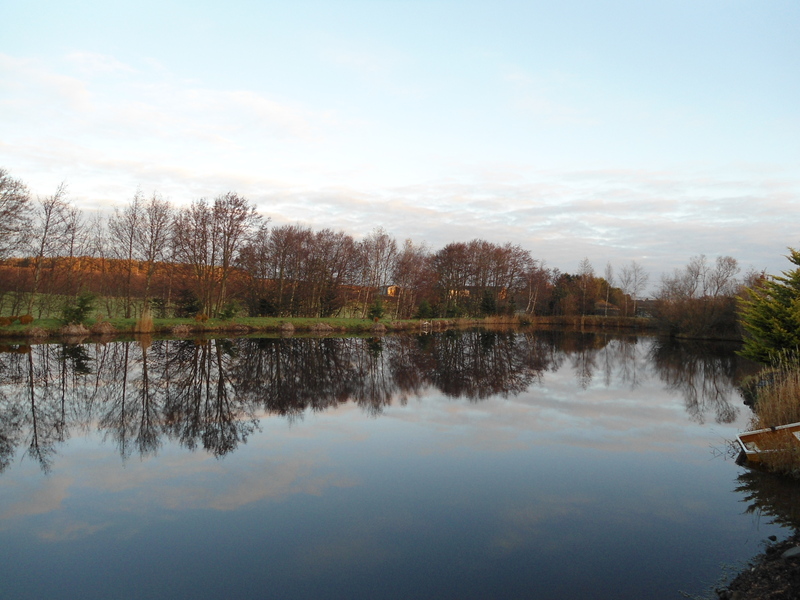 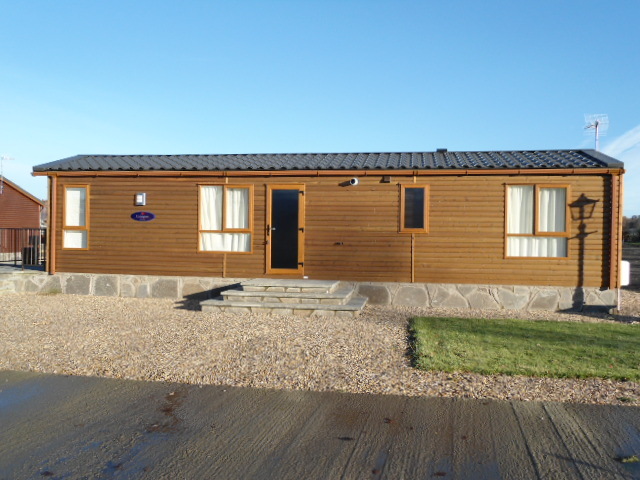 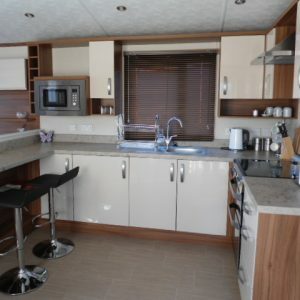 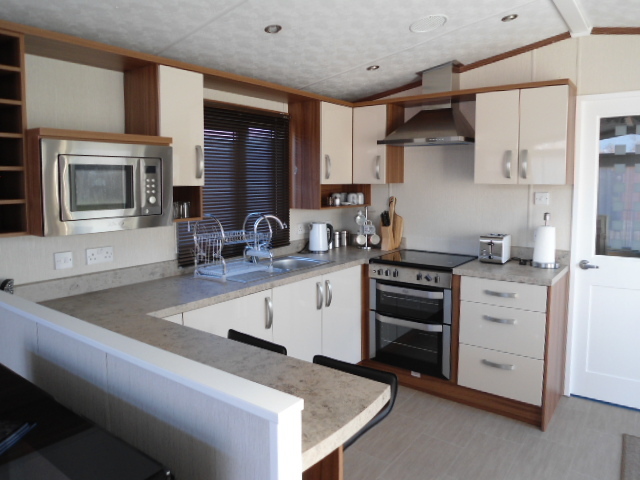 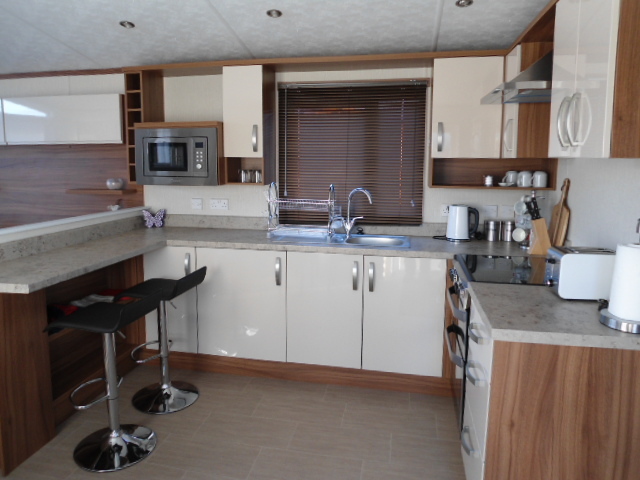 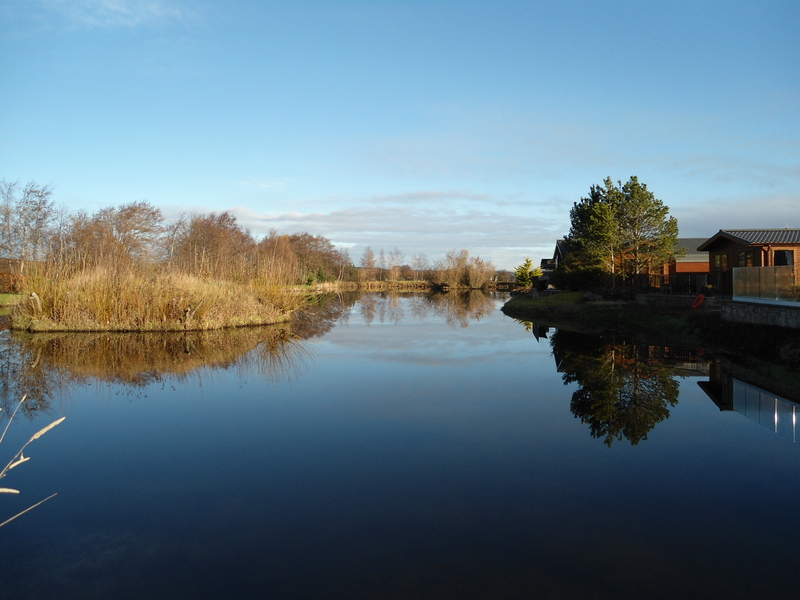 It is ideally situated for touring , walking , fishing , golfing or simply a relaxing holiday. 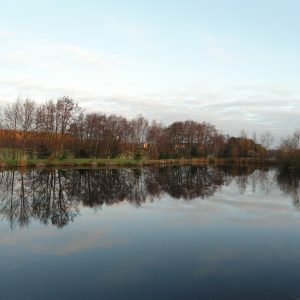 There are many places to explore and also a chance to visit some of Scotland’s top Distilleries while also sampling the excellent food and drink on offer at many pubs and restaurants. 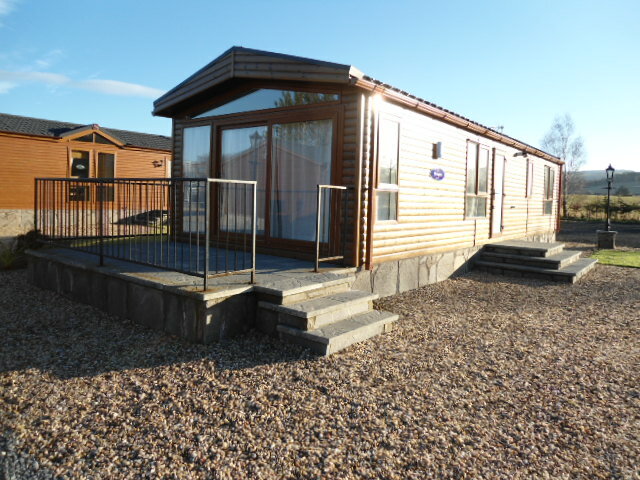 The Lodge is an ideal base to tour the region. 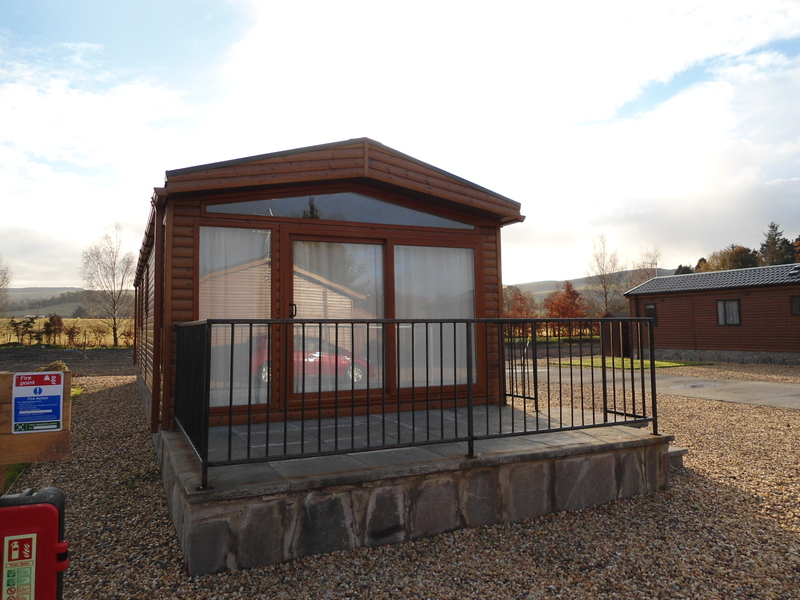 The town of Auchterarder and the Internationally famous Gleneagles hotel are 4 miles away and it is 10 miles to Perth and 22 to Stirling via the main A9 North-South road. 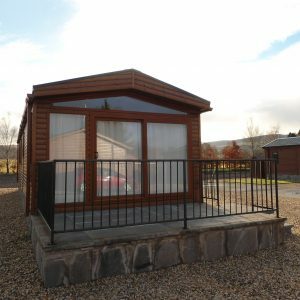 Local events include the Perth Festival of the Arts and other Music Festivals, Scottish Game fair and not forgetting the meetings at Perth Racecourse. 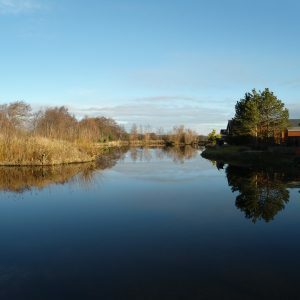 If you are looking for a peaceful and tranquil place to stay for a romantic getaway, family holiday,Golfing break or other sporting interest we would love to welcome you to Number 18. 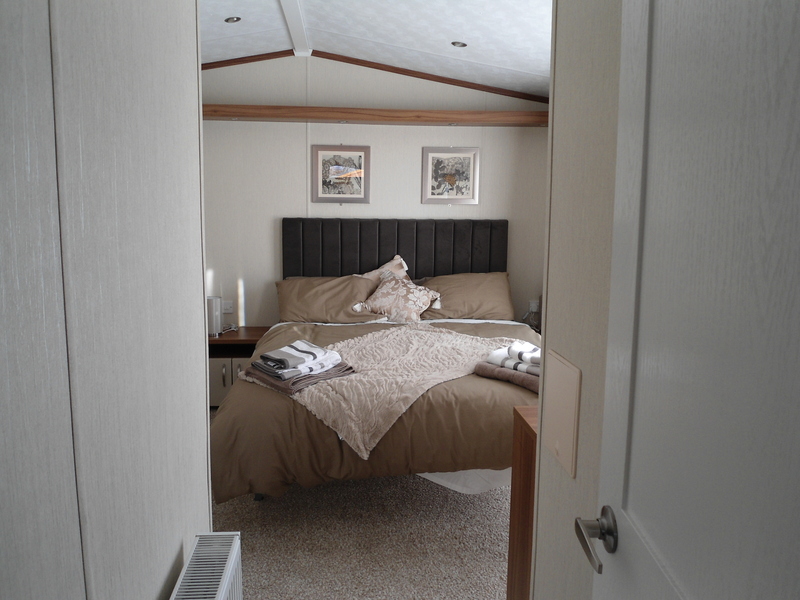 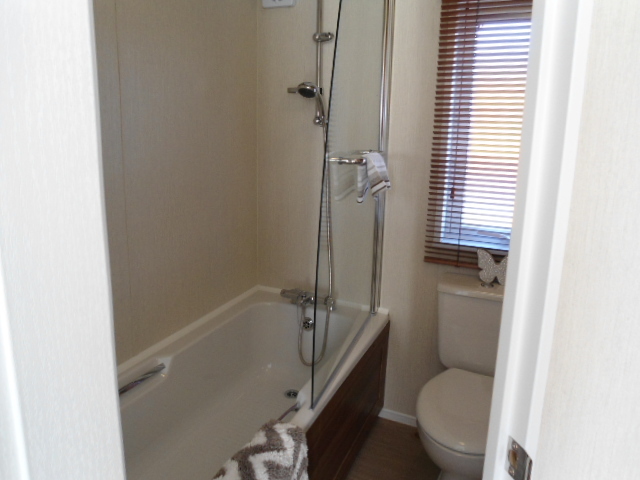 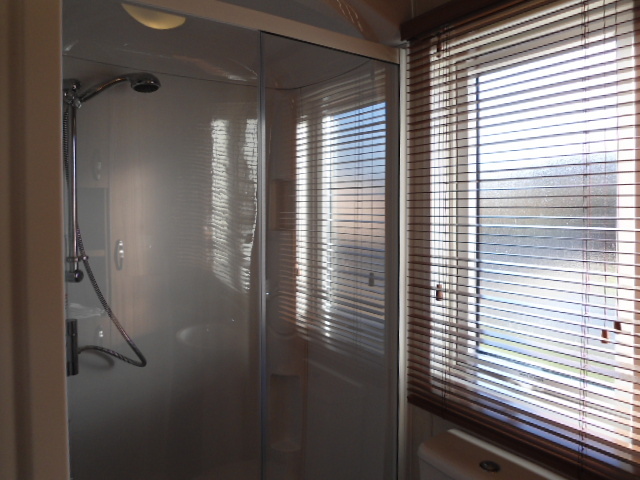 One Double bedroom with walk-in wardrobe and En-suite bath/shower and toilet. 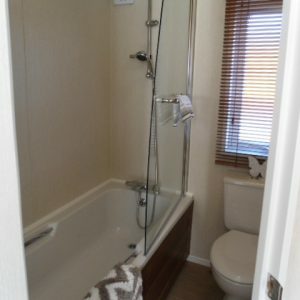 Separate shower,hand basin and toilet.